Nun curso de nutrición que fixen hai pouco ensinábannos a facer estas magdalenas saudables. Non levan manteiga e a cantidade de azucre é moito menor do que soe ser o habitual. E o sabor? Pois estanvos ben boas! Así que se vos gustan as larpeiradas saudables, apuntade esta! Repetiredes seguro! 😉 Imos aló! 1. Separamos as claras das xemas e batimos as claras a punto de neve. 2. Mesturamos o resto dos ingredientes, as xemas, o azucre, o leite, a vainilla o fermento e fariña. E batemos ben. 3. Engadimos as claras e mesturamos cunha culler pouco a pouco. 4. Preparamos os moldes e vertemos a masa ata encher 2/3 da súa capacidade. 5. Deixamos no forno a 180ºC ata que un escarvadentes cravado no centro saia limpo. In a course about nutrition I’ve recently made, we were taught to prepare these delicious healthy muffins. 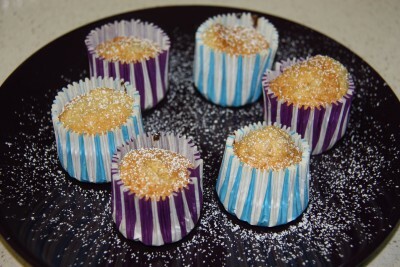 They have no butter and the amount of sugar is considerably less than in regular muffins. And what about the flavour? They’re very tasty! So let’s see how to do them! 1. Separe the eggs from the yolks and beat it until they form stiff peaks. 2. 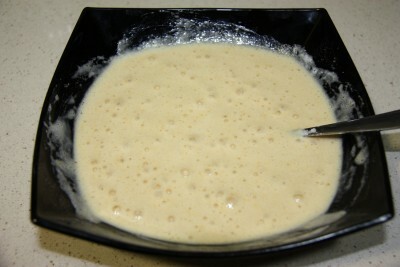 Mix the rest of the ingredients: yolks, sugar, milk, vanilla and baking powder. Beat well. 3. 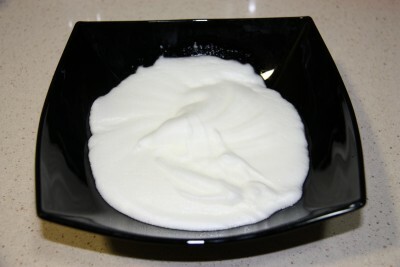 Add the whites and mix them with a spoon very softly. 4. 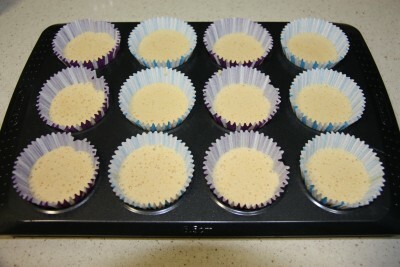 Prepare the moulds and pour the batter until you fill 2/3. 5. 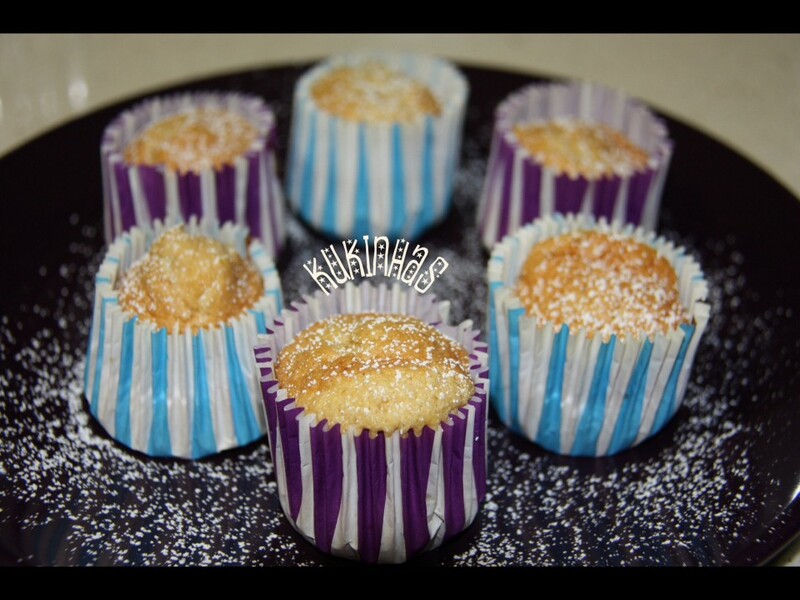 Bake them at 180ºC/375ºF until a toothppick inserted in the middle of the muffin comes out clean.